A native of southern West Virginia and now living in the Charlottesville, Virginia area, Bahlmann Abbot grew up in a family fond of swapping stories and songs while gathered on his grandmother’s porch. Some of his songs reflect this love for story telling while others paint an impressionistic view of the struggles and rewards of love and loss. 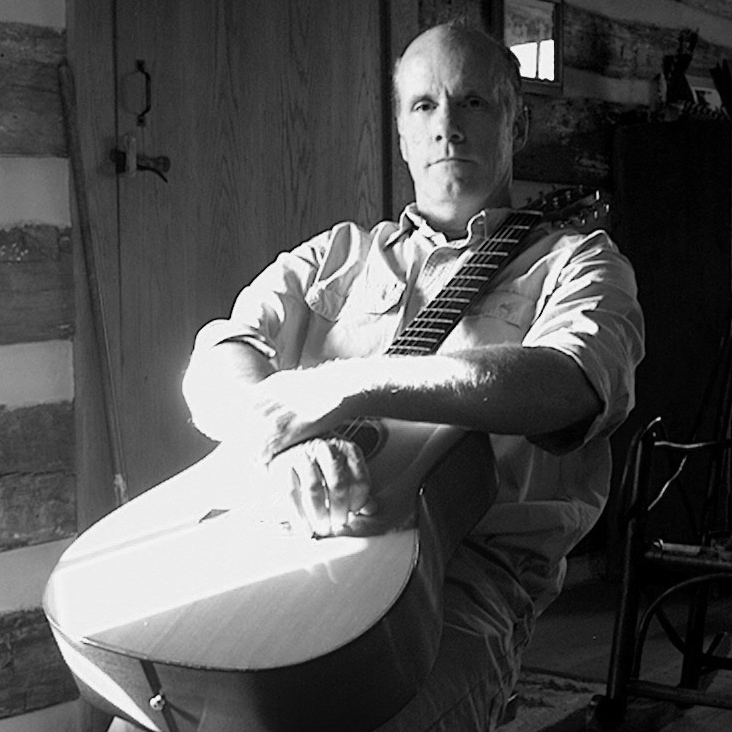 His songs are influenced by his experiences as a carpenter, river guide, husband and father. As an architect whose focus is the design and renovations of the family home, he draws a parallel with songwriting to the design of a house. They both start as a fuzzy concept with disparate parts and evolve and gain clarity as one sketches over the plan or works over a particular melody line of a song. For him listening to a song can be like moving through the different rooms of a house, each room referring to the last but offering a new revelation or view.